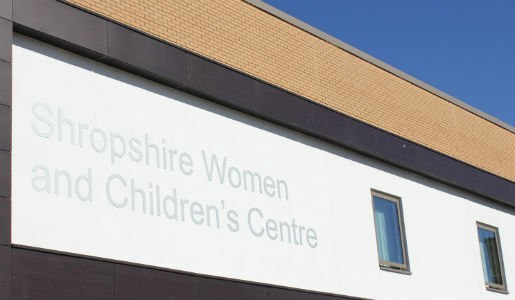 Two years ago today, the £28m Women and Children’s Centre was officially opened by HRH at the Princess Royal Hospital in Telford. Telford & Wrekin Council is using this anniversary to increase the case against the centre’s proposed move to the Royal Shrewsbury Hospital. This recommendation, currently on hold largely due to concerns flagged by the Council, came from the board of ‘Future Fit’ which has spent £3m and three years looking at how to reconfigure hospital services. It also recommended having just one A&E for Telford and Wrekin and Shropshire, also in Shrewsbury. On this second anniversary, Telford & Wrekin Council is urging people to show the strength of feeling against these plans in of support for the PRH . Telford & Wrekin Council Leader Shaun Davies said: “Future Fit’s recommendation made no sense then and makes no sense now – based on a flawed decision-making process. “We have long argued this and, thanks to this Council’s efforts, no final decision has been made while all the issues we have raised are further investigated. “But later this year, we fully expect this issue to come to a head again. “Future Fit appear to remain hell bent on driving this change through regardless. The clinical case for having this unit at the PRH remains exactly the same as it was when it opened – nothing has changed. “That’s why we must stress the madness of even considering closing this very successful £28 million facility. I urge everyone who uses the PRH to join pledge your support for the hospital via www.prh4me.co.uk.